I travel, sometimes quite often. Recently I visited the East Coast in New York, NY for just a couple of days. New York is one of my favorite places in the States. I got to watch a Broadway show, went up on the 102nd floor of the Empire State Building (open till 2 am! ), and dinned at Nusr_Et (the great Salt Bae) restaurant. It's no coincidence they call New York the city that never sleeps, because there is always something to do day or night. From shows, cafes, and museums to landmarks and parks it is impossible to complain or to feel bored in a city that is in constant movement and always filled with people. So what about this roasted butternut squash? With the leaves all changing color, this orange color of squash makes a great addition to any meal this time of year. 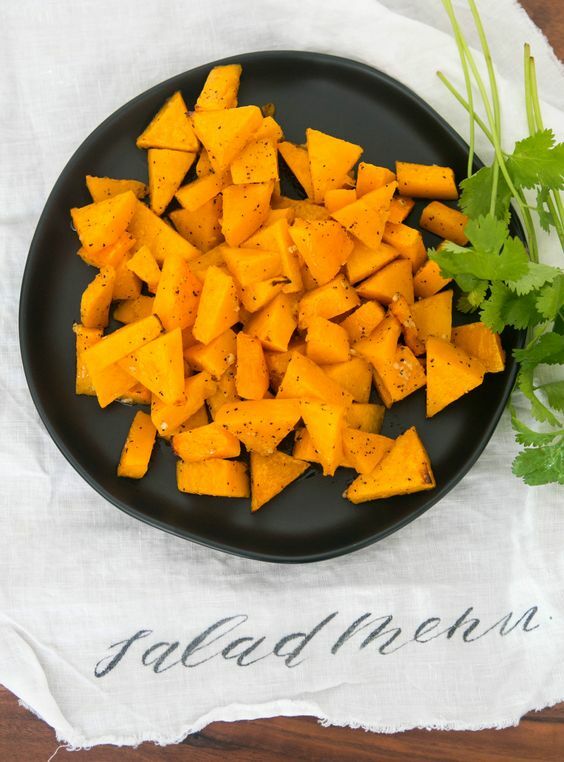 Toss butternut squash with garlic, olive oil, salt and ground black pepper. Roast butternut squash for 30mins.